So, is it time to expand? 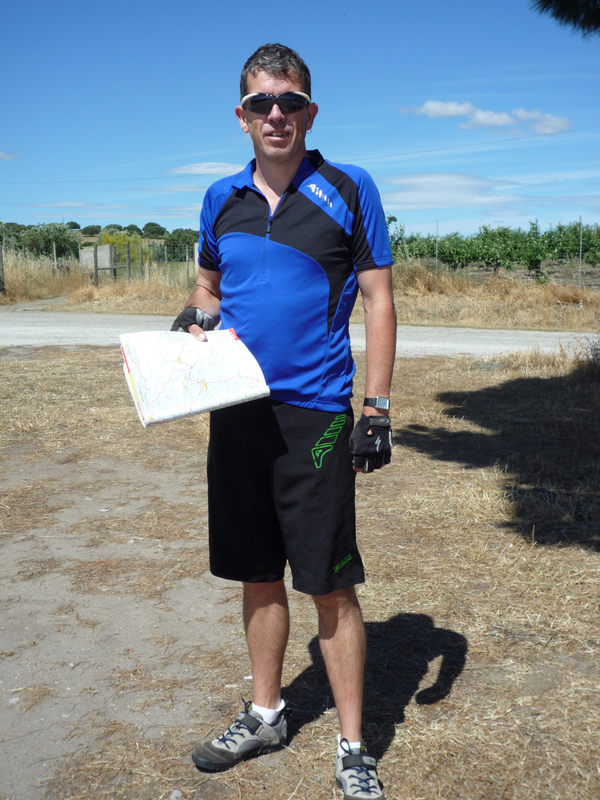 Stop just providing advice to fellow cyclists and start running guided tours of Portugal? Over the last few years the Pedal Portugal website seems to have taken over my life. Visitors to the site went up from around 3,000 in 2013 to more than 13,000 in 2014 – and the upward trend seems to be continuing. Questions come in every week. Some of them are quite straightforward, others can be a bit trickier – ranging from where to hire a bike carrier for a car to the best way to skateboard from Lisbon to Faro! (Not exactly cycling but hey, it’s still travelling on a self-propelled set of wheels). For a while, though, I’ve been debating whether I could put my knowledge of cycling in Portugal to use in other ways. In particular, something that enables me to spend more time riding my bike around my favourite parts of the country. Together with my wife, I’ve done a lot of touring. It was our first big trip – riding our tandem around the coasts of France and the Iberian Peninsula that first took us to Portugal just over 10 years ago. Our other big trip was in 2010 when we set off to ride 10,000 miles across 10 countries towing a big green plastic ShelterBox in aid of the disaster relief charity of the same name. That turned into an incredible logistics challenge. The charity gets a lot of support from the Rotary organisation and we decided to use them to arrange talks along the way – to Rotary clubs, schools, Scout groups etc. Which meant that not only did we have to ride an average of 50 miles every day but we had to keep to a tight schedule for the whole year as deviating from our itinerary would mean not making it to a talk. And we did it. Apart from the fact that we raised nearly £50,000, my proudest claim is that we only missed one talk – and that was because our flight from New Zealand to Australia was delayed by several hours. Australia also provided a couple of other ‘highlights’ of the tour – getting knocked off our tandem by a truck and discovering the only road in what turned out to be nearly 11,000 miles where we had to get off and walk (push). Most of Queensland was relatively flat but going up the Bunya Mountains (in pouring rain) defeated us. But I’m going off the subject. Which is Portugal. Having been thinking about this for a long time, I’ve decided to try and organise a number of cycle tours for small groups, hopefully starting at the end of this year and, if not, early in 2016. I’ve got several ideas for routes, including Northern Portugal, the Alentejo, the Algarve and an end-to-end option. I know most of the roads involved and have visited the towns along the way. I’m confident they would make good one or two week touring options and I’d love to take some fellow riders around with me. Exactly how they work is still to be decided – luxury hotels, mid-range B&Bs, camping? There are lots of options, including the dates. So what do you think? Anyone interested in coming with me to help test out the routes? If so, take a look at the new Pedal Portugal’s Guided Tours page for more information. There’s also a form to fill out if you want to stick your name on the list. Damn, just back from the Algarve. Some nice cycling there, especially a trip up to Foia, though a bit busy at times on the coast. Enjoyed some mountain biking as well on the wee coastal & cliff paths. Glad you enjoyed it. Any tips on good rides/bike shops/campsites etc are always appreciated. Or any roads/places to avoid! More or less said it all in my latest blog. Probably much better for a longer stay to be in a different area. Some of the coastal paths were fun though, but the connecting main road sections were not too good. Whoops, realised you’ve just been on the blog.